1. 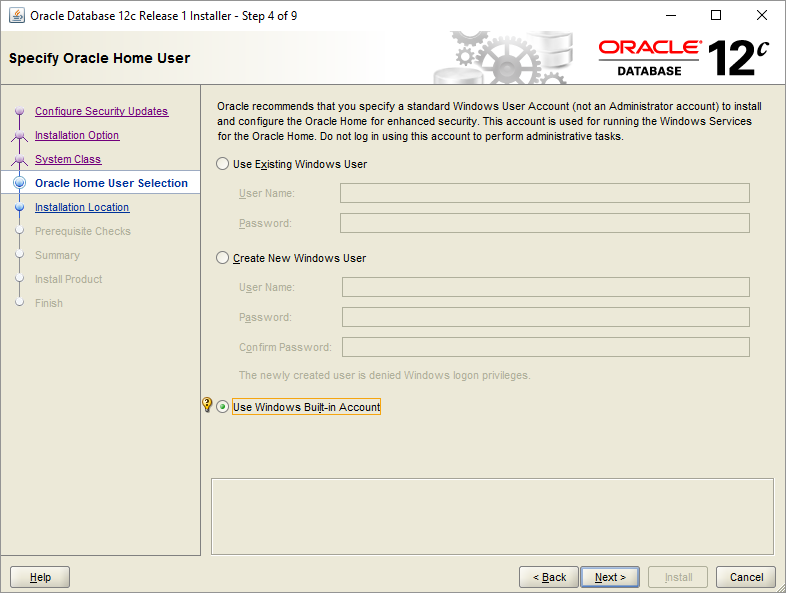 Download installable files for your operating system from here. 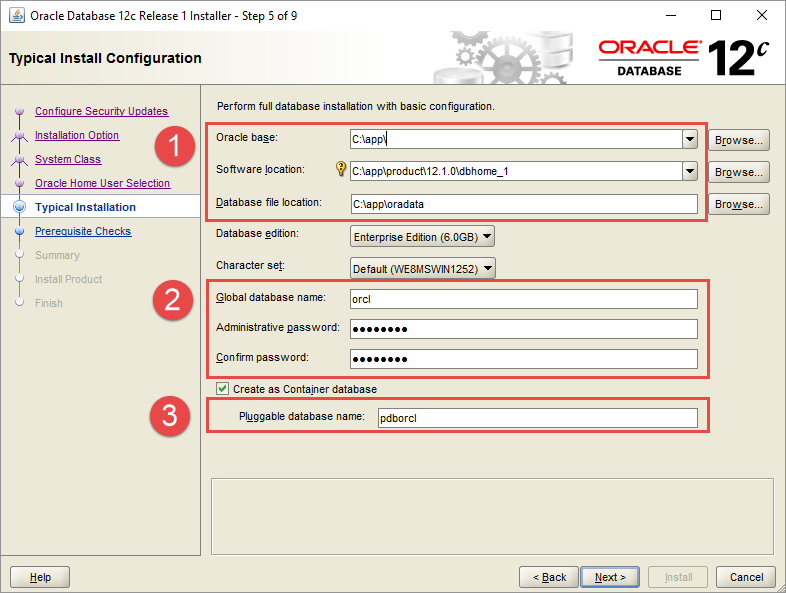 You may have to create an oracle account (if you do not have it already). 3. 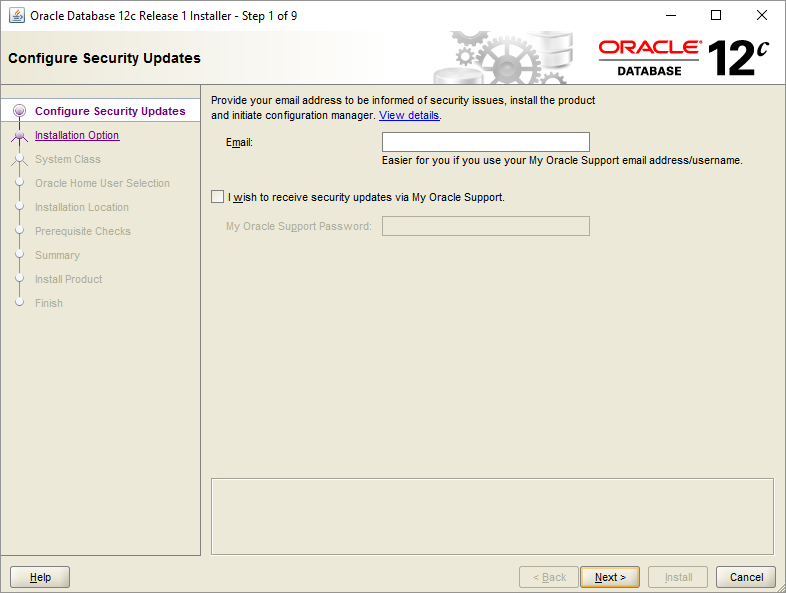 Installer will ask you for email. Please click on next without entering the address. 5. 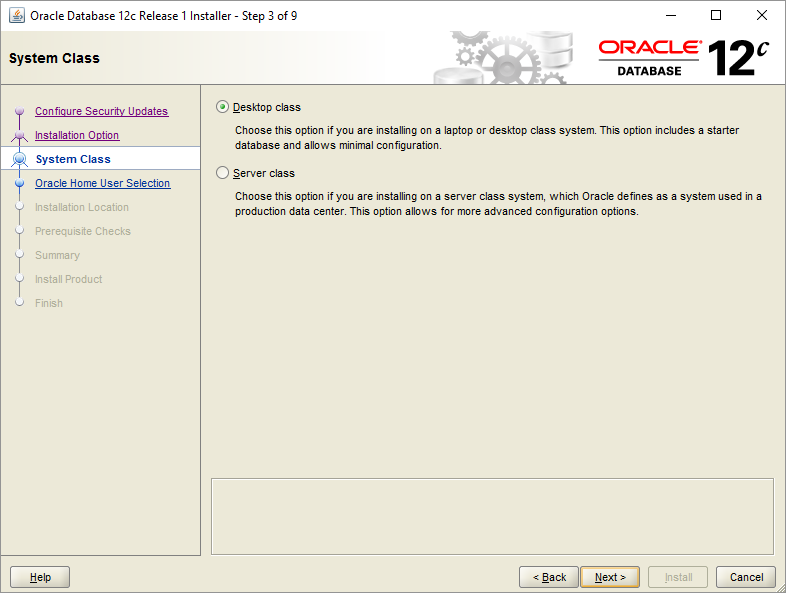 Choose 'desktop class' if you are installing on local machine. 8. 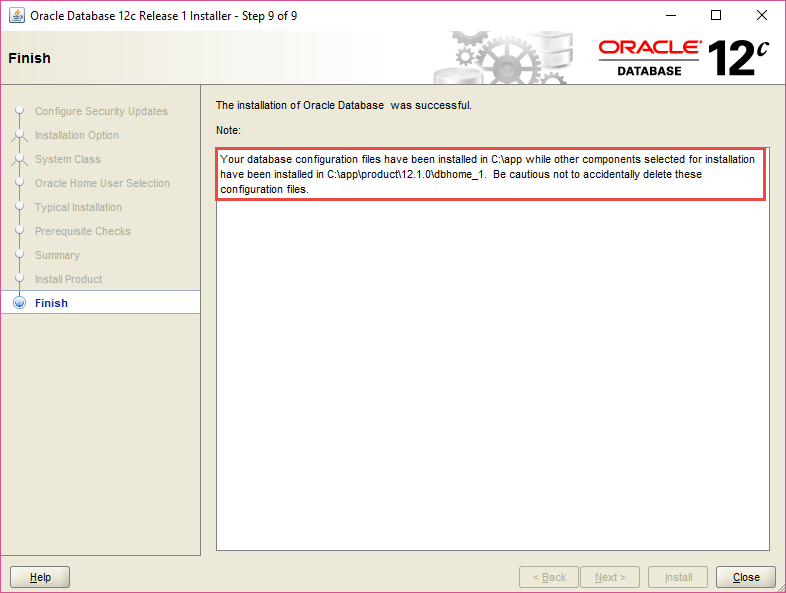 Wait till database installation finishes. It may take more than 30 minutes. 9. 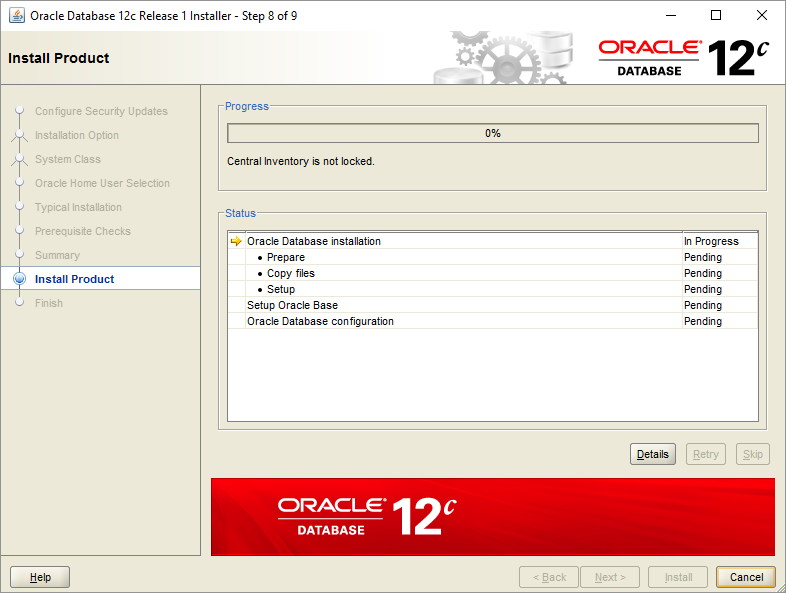 Database installation is done.